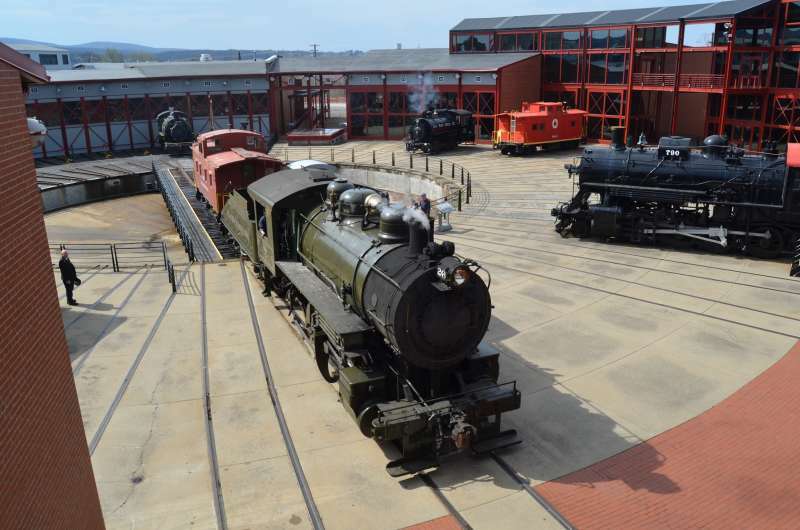 Steamtown is kicking off their 33rd year as a unit of the National Park Service. During National Park Week, they will have a tribute to the 150th anniversary of the Golden Spike union of the railroads, and some extra tours for the occasion. The 7th in the series of collectible trading cards will debut this week also. A brand new Steamtown Junior Ranger badge will also debut, and one day of National Park Week is dedicated to Junior Rangers. The badge will be available from April 20 forward. Park RX Day returns on Sunday, April 28. Partner organizations in promoting the health benefits of being outdoors will have tables of information, games, and activities you can take part in, among other items. This will take place between 11:00 AM and 3:00 PM. In addition to all of this, National Volunteer Week is commemorated. They could not maintain their tours and train operations without the dedicated people who keep this park humming. Their train operations are also expected to return with the Scranton Limtied trains.